The Dictator is a 2012 British-American political satire black comedy film co-written by and starring Sacha Baron Cohen as his fourth feature film in a leading role. The film is directed by Larry Charles, who previously directed Baron Cohen’s mockumentaries Borat and Brüno. 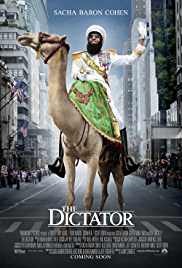 Baron Cohen, in the role of Admiral General Aladeen, the dictator of the fictional Republic of Wadiya visiting the United States, stars alongside Anna Faris, Ben Kingsley, Jason Mantzoukas, and an uncredited appearance by John C. Reilly.